The Depressing Reality of Egyptian Politics: It’s Islamists vs. the Military. Cairo, Egypt—Naguib Mahfouz, the great Egyptian novelist and Nobel laureate, once observed that revolutions are “plotted by the clever, fought by the brave, and profited from by cowards.” It’s a wise line that only gains further credence from the current turmoil in Egypt, where the groups best-positioned to benefit from the overthrow of Hosni Mubarak are the ones that had long tolerated his rule in silence. Indeed, the broad battle for Egypt’s future has inexorably transformed into a narrow struggle between the Muslim Brotherhood and the military—a fight in which the vast majority of the Egyptian public, those who poured into the street to win their political freedom, has largely been reduced to observer status. Following the first round of voting for parliament here in which Muslim Brotherhood and the ultraconservative Salafi Muslims won a combined 60 percent of contested seats, the struggle between the Brotherhood, the stronger of the two Islamist parties, and the military has entered an explicitly antagonistic phase. The Brotherhood “can now lay claim to one center of significant authority within the government, which gives them more leverage with the military” says Michael Wahid Hanna, an Egypt expert at the Century Foundation. Brotherhood spokesman Essam El-Erian apparently was reading the same tea leaves. 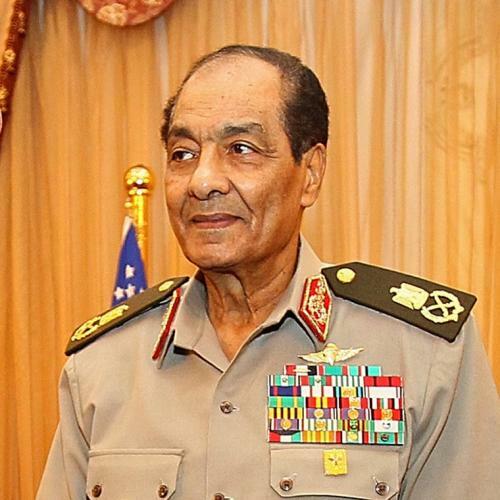 Almost immediately following the release of preliminary election results, he went to the press to demand that the Supreme Council of the Armed Forces (SCAF), the military junta that seized control on Feb. 11, hand over authority to the elected parliament. “[T]he military council must now announce the handover of legislative powers to parliament, and the caretaker government must present any new legislation to the parliament for approval,” El-Erian wrote in the Guardian. But if the electoral landslide has emboldened the Brotherhood to get tough with the military, it has also spurred a redoubling of its charm-offensive aimed at liberals and the West. “We need a democratic system based on consensus. Nobody can work alone. Cooperation is needed between all parties to build the new Egypt,” El-Erian said when I asked him about the possibility of a Brotherhood-Salafi coalition—hardly the response one would expect from a fundamentalist party that has made banning art with sexual undertones and nixing concerts with female singers a legislative priority in the past. But El-Erian repeatedly refused to take the bait, saying, “We hope the constitution can reflect the national consensus,” and that “no one individual party or faction” should dominate the constitution-writing process. The Brotherhood has long been a politically savvy organization. And having operated in tight political quarters under Mubarak—it was officially banned, running only “independent” candidates—the Brotherhood knows how to play the long game. In this case, pledging to cooperate with liberals and downplaying fears of an Islamist take-over are intended to induce the West—and the U.S. in particular—to lean on the military. “If the civilian leadership is shown to be responsible and sober there is a much greater possibility that the international community will put pressure on the military to make real, honest transition to civilian rule,” says Hanna of the Century Foundation. For decades, Mubarak sold the U.S. on the tradeoff between dictatorship and a fundamentalist state run by Islamist fanatics. Now that the Brotherhood has emerged as a serious political player, it is determined to debunk that conventional wisdom as a false dichotomy. “The memory of Algeria looms large,” said Shadi Hamid, director of research at the Brookings Doha Center, referring to the ill-fated 1991 election in which the radical Islamic Salvation Front won a majority, only to see the results annulled and the military take over. “They are afraid that the process will be derailed, and for that reason they’re trying to appeal to everyone at once,” said Hamid. Absurd as it is on its face, El-Sadek’s reply is indicative of two disheartening trends, both of which help explain why the rising Islamist tide has been accompanied by no corresponding liberal squall: Not only are Egypt’s youth activists perpetually one step behind the game—a large number of them refused to vote in the parliamentary election, thus missing a huge opportunity to be heard—many of them are openly ambivalent about participating in any political process at all. On election day last month, I asked Mohamed Mahmoud, 29, a political officer for the April 6 Youth Movement, about his organization’s plans to move from protest to participation. “We do not ask for authority; we apply pressure to authority. We are the people,” was his puzzling response. Increasingly, however, most Egyptians don’t feel inclined to assign the liberal activists such a privileged position. The public once heralded them, to borrow again from Mahfouz’s maxim, as the courageous vanguard of the revolution. But they now are often dismissed as the country’s cowardly intellectuals—the clever plotters of the revolution who weren’t brave enough to ride it into real institution change. Ty McCormick is a freelance journalist, and a Pulitzer Center on Crisis Reporting grantee.